Call Amazon at (888) 280-4331. You can keep saying “representative” to bypass the menu options and reach a live person. Once Amazon opens your account, explain to them your situation. Amazon will likely cancel your return and re-ship the same item for free, depending on the value. 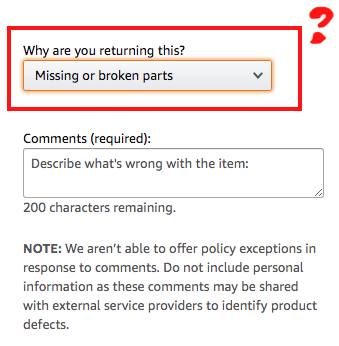 If you already filed a missing return claim online as mentioned above, tell Amazon that you never actually received a product. These steps worked well for us and Amazon did re-send our missing product free of charge. 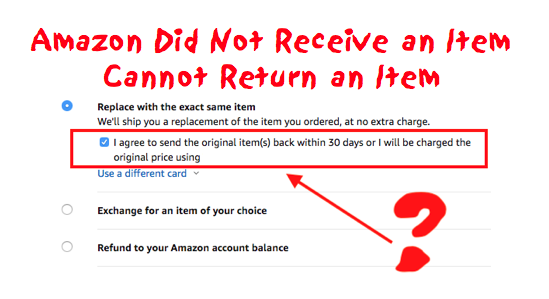 Amazon emailed us a confirmation that we would not be charge for another purchase of the item. Please use the comment form below to report your experience.